Last year at this time, I bought olives with the idea that I would salt cure them, much like I saw in France a few years ago. 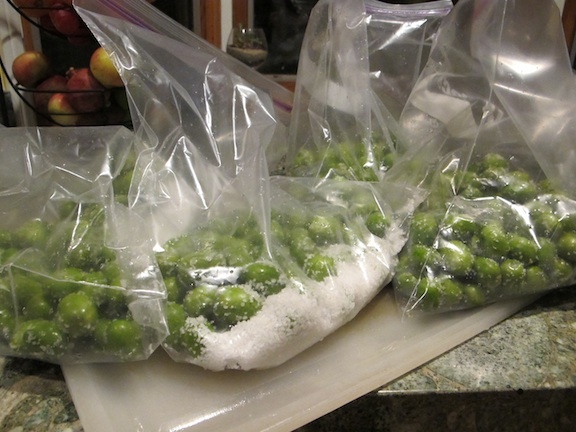 My French friends salted black olives, put them in perforated plastic bags, then hung them from tree branches. As the salt drew the bitter compounds from the olives, it formed a liquid that dripped into a bucket below the bag. I’ve looked for black olives in San Diego, but all I seem to find are green olives sold by the Temecula Olive Oil Company. 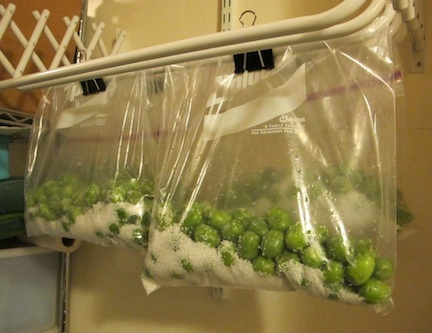 I tried my hand at replicating the French process using Temecula’s green olives last year. 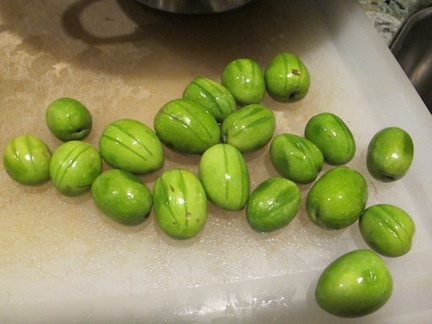 I suspect I took too many shortcuts, however, as the olives rotted. 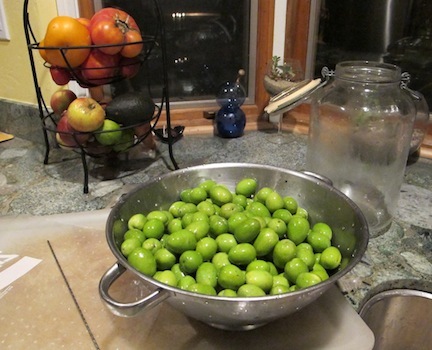 With olives ripe again now, its time to try again. So, here goes….